The James M. Cox Foundation is known as a big parks and gardens funder around Atlanta, and a new $2 million commitment solidifies its position. Now, Cox isn’t an Atlanta-specific funder per se, but most of the funder’s green space support has been local lately. Some cities have a vibrant downtown area that attracts visitors and urban residents. But downtown Atlanta isn’t really one of these places. A few foundations are looking to improve on that, and the Cox Foundation is one of them. 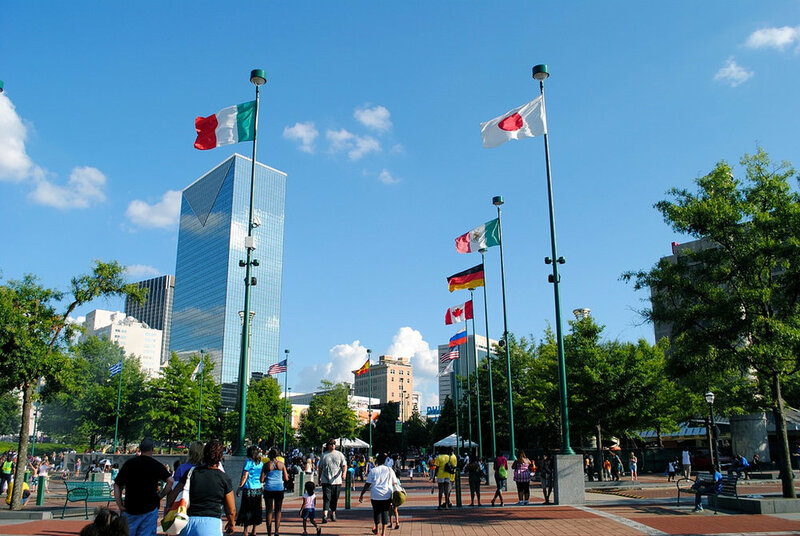 To kick off the latest downtown revitalization effort, the Cox Foundation donated $2 million to expand Centennial Olympic Park and keep the memory of Atlanta’s Olympic Games history alive. Cox’s history with the Atlanta Olympics goes back well before 1996. The company gave funds to support the games back then, and it is still interested in perpetuating that legacy for the future. But this is actually part of a larger $25 million effort of the Georgia World Congress Center (GWCC), which oversees the park and is trying to raise money to enhance it. With this $2 million boost from Cox, the park will get a little closer to GWCC’s goals of creating a bike depot, pedestrian plaza, and revamped amphitheater. Centennial Olympic Park has been a top interest point for the Cox Foundation for quite some time now. It made a previous $6 million grant to the PATH Foundation to support the central trail hub in the park. Public transportation continues to be a hotly contested issue in Atlanta despite the ever-growing population and traffic nightmares. But residents are still pretty obsessed with walking and jogging the BeltLine, so funding connectivity trails is a smart move and far less controversial. Other organizations that have kicked in for Atlanta’s downtown revitalization efforts include the Woodruff Foundation, Bank of America, and Coca-Cola. Aside from Cox’s support for parks, this funder also concentrates on early childhood education, empowering families & individuals, and health. And interestingly, this is a funder that sticks to capital campaigns for construction and renovation, as well as special projects like capacity building efforts. So take your general support and annual program requests elsewhere in Atlanta. Learn more about the Cox Foundation guidelines and deadlines here—the next one is February 15.